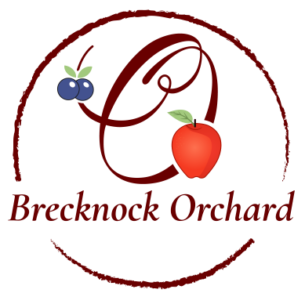 More than 5 acres of strawberries are grown at Brecknock Orchard. 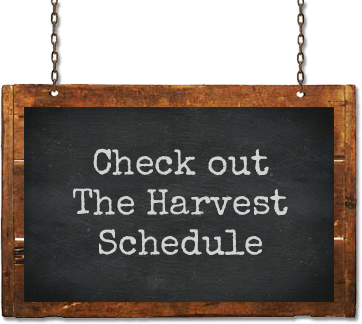 Fresh picked strawberries are available every day from mid May thru June. Pick Your Own strawberries are available in our strawberry fields in June. We are experimenting with some new types of strawberries know as “summer bearing” and “fall bearing” strawberries, making it possible to enjoy fresh strawberries July thru September. There are many stories and legends behind the origin of the strawberry’s name. Their name may have come from the phrase “Straws of berries,” which is what English children used to sell them as. Or perhaps it came from the method that most farmers use to grow them. The raised beds often have straw in between them. The fruit is not actually classified as a berry. The seeds of a strawberry are located on the outer skin of the berry. True berries, such as red raspberries and blueberries, have seeds on the inside. Don’t pick pale red strawberries, or berries with green tips. Pick all the ripe berries, big and small. Size, redness, and sweetness have a lot to do with the variety. When picking, be sure the cap, or green top, remains on the strawberry by pinching the stem of the berry between the thumb and forefinger.